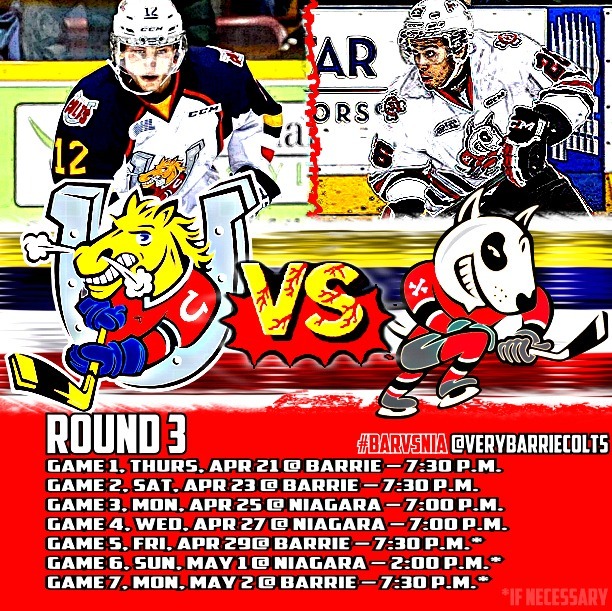 Playoff Preview: Barrie Colts vs Niagara Icedogs in Round 3. 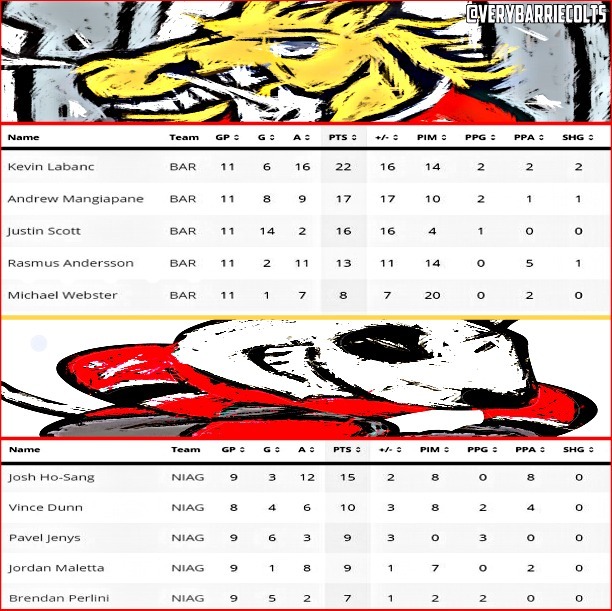 #OHL #BARvsNIA - Very Barrie Colts | A website covering the Barrie Colts of the OHL. The OHL Eastern Conference Finals will see the Barrie Colts (2) face the Niagara Icedogs (4). 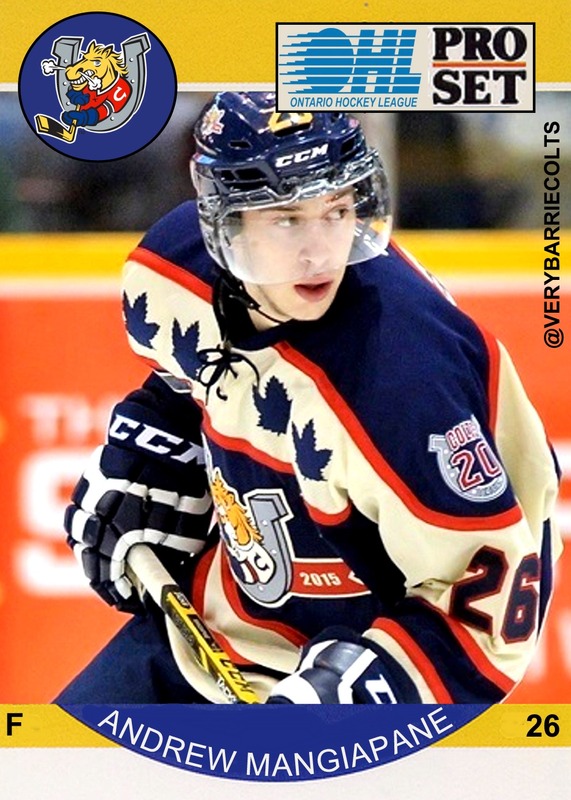 Barrie and Niagara faced one another 6 times this season and Barrie managed to "hoof" 4 wins out of the series. Some close games on the score sheet with Barrie outscoring them 21-20 over those games, as far as shot production Barrie was rarely in the same arena. Though, outshot 229-173 (average 29 Barrie- 38 Niagara per game), the numbers are actually pretty similar to the season series with North Bay, and we all witnessed how that series played out. Playoffs are a fresh start. As far as special teams went, Niagara also had the edge in that department going 4 for 26 compared to the Colts 4 for 27. Is that really an edge? No.. It isn't an edge. Here is a look at the scores of each game. 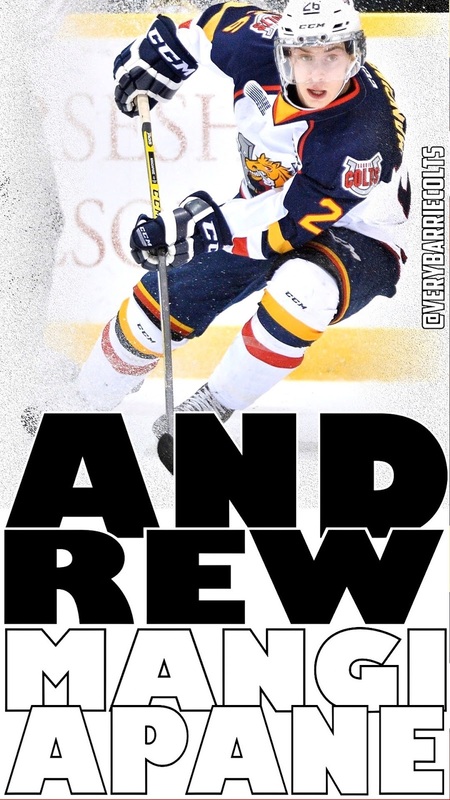 Andrew Mangiapane is tied in the league for most points in the playoffs with 22. Justin Scott leads all players with 14 goals. Kevin Labanc's 16 assists are the most in the playoffs while he also sits at the top of the short handed goal list. Josh Ho-Sang has the most power play assists with 8 for the Dogs. Blackwood sits in second with a goals against average of 2.26 while Nedeljkovic has a 2.47 GAA. Alex has 8 wins compared to Blackwoods 6 having missed games with a bruised tail bone and Blackwood is the only goalie of the two to get a shutout this post season. Here is a look at the top point producers in the playoffs for both teams. Anyone else noticing Labanc having as many short handed goals as power play goals? Goltending will be a huge factor in this series for the Colts as it was in the season series. If Blackwood can play as well as he has, that will be huge. Barrie will need to focus their efforts on special teams. Penalty killing has been a strength for the Colts but they are not making teams pay with the man advantage. If Barrie can find a way to get goals when on the power play they will have a huge advantage in this series. Barrie will need some more secondary scoring as well. Scott, Labanc and Mangiapane have been great and there has been some production from other guys. This team will really need guys like Roy Radke to step up and start getting some points. Also, the time off could help out as far as getting some hurt players back into the lineup like Dylan Sadowy. If Barrie can start getting production consistently from lines other than the first, they should have success against the Dogs. 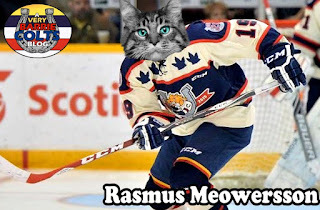 Game 1, Thurs, April 21 @ Barrie – 7:30 p.m.
Game 2, Sat, April 23 @ Barrie – 7:30 p.m.
Game 3, Mon, April25 @ niagara – 7:00 p.m.
Game 4, Wed, apr 27 @ niagara – 7:00 p.m.
Tickets can be purchased online at www.ticketbreak.com or at the Colts Store located at the West Entrance of the Barrie Molson Centre Monday to Friday 9:00am – 5:00pm. How do you think the Colts will do in the third round? Let us know your thoughts in the comments and join the conversation by using the #BARvsNIA hashtag and following us on Twitter and be sure to give us a like on our Facebook page! This article on eduessayhelper.org can also help you with your SAT exam.